Here is a list of all the postings Chuck Plains has made in our forums. Click on a thread name to jump to the thread. Thread: What do you guys use to fix teflon tubes to carbon tailbooms? Thanks for the advice guys. I'll open up the cutout a little more to allow for the masking tape. But I'll wait till I've been into the office at work next week to see if they have any used toner cartridges and will let me have one. (they may be on a recycling contract though)Then I can use the toner powder instead of baking soda or talc to thicken the epoxy. I'd rather have it black to blend with the carbon tube. Otherwise I'll have to wait till I can get one off eBay, as I don't want to shell £30 or so for a PC World one. Is there a special method for securing teflon tubes to things? I'm in the process of repairing and modifying a 2 channel glider I made last year. 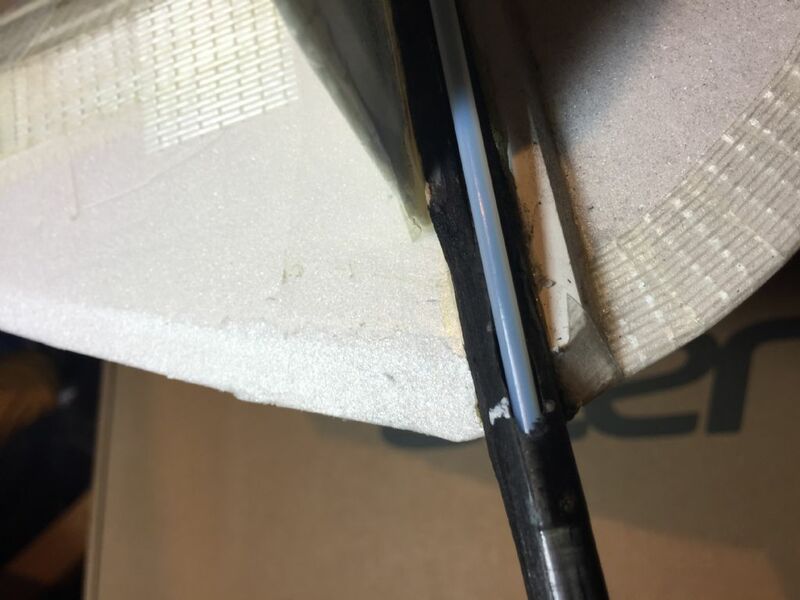 The mods include adding a teflon tube for the rudder servo pushrod. My plan is to epoxy it in after roughing up the outside of the teflon quite heavily. I want the epoxy there anyway to partly replace any strength lost by cutting through the carbon fishing rod tube. I thought I'd get away with having both pushrods coming out of the tail end of the boom, but the rudder fails to turn the plane once airborne, so I worked out that I'm not giving it enough leverage. The other "swappable" mod will be a different set of wings, with ailerons and maybe flaps. Everything's an experiment, so it's all fun in the end. Hopefully it's quicker from the EU, as I just ordered a glider from Germany. 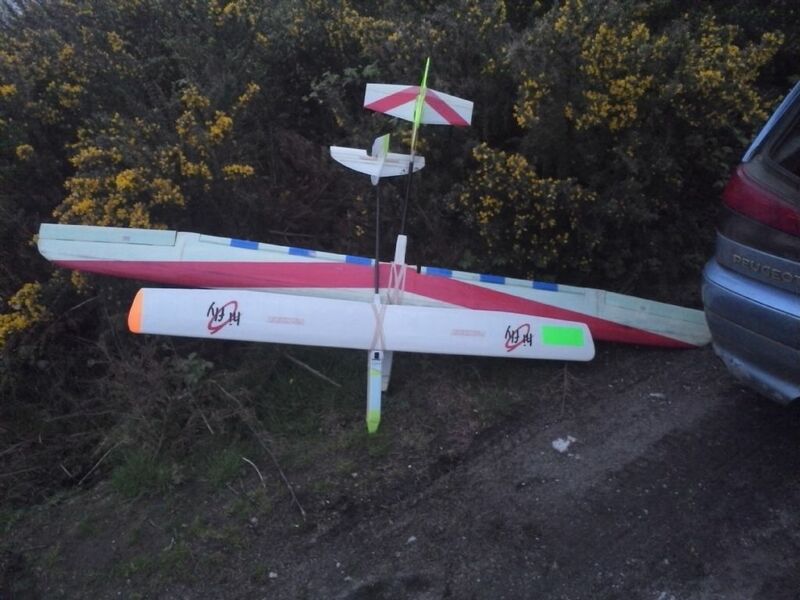 Thread: Gliders with no D box leading edge? Thanx Andrew. Yes I plan on using Eze-Kote, I've has this 500ml bottle of it here almost unused for about 3 years. I know I could have purchased the required electrical parts from pp-rc as well, but I want to check everything over before I decide on motors, servos and stuff. And of course, I'm cheap when I can be. Stearman65 sensei, please teach me the way to add links to threads. I decided on an Art Hobby Odyssey E 2.7, the cross tail version. I'll be building it up with just a basic 5 deg dihedral and full house controls. Seems it can weigh in at about a kilo or less all up, so that's my aim, as my 2.5 scratch pod and boom is 1.5k. So I'm sure that with it's proper airfoil and half a kilo less weight, this will be a proper Summer thermal floater. Hmmm, after coming in through my front door I have to sort of step round two of my 2.5mtr+ gliders that are currently resting nose down on some sort of exercise bike that, for some unknown reason, appeared last year. But don't worry, I wrapped the handlebars in foam so as not to damage the leading edges. Yes, they are fully assembled! Ah, thanx but no, I'm definitely not into building balsa kits. I definitely see the positive side of it, what with it being economical and satisfying, but I don't have the patience. I may be 65, but I'm still working 5 days a week as a CNC machine setter, plus my tinnitus tends to piss me off more at home. Don't get me wrong, I have made stuff with foam wings including my 2.5mtr pod and boom scratcher and have what you might call "projects" that have kind of stalled for years. So anything that takes too long gets forgotten about. Oh, plus I seem to have a dust allergy. Cool, I'm glad he's happy with your creation, but it's definitely not what I'm for right now. And I still want to spend what I'm calling "my xmas money" on something shiny and new. Hmm, actually, I also need a TX with more than 6 channels too. Thanx Peter, but I'm more in the way of looking for light wind performance this time, and I freely confess my love for high aspect wings. 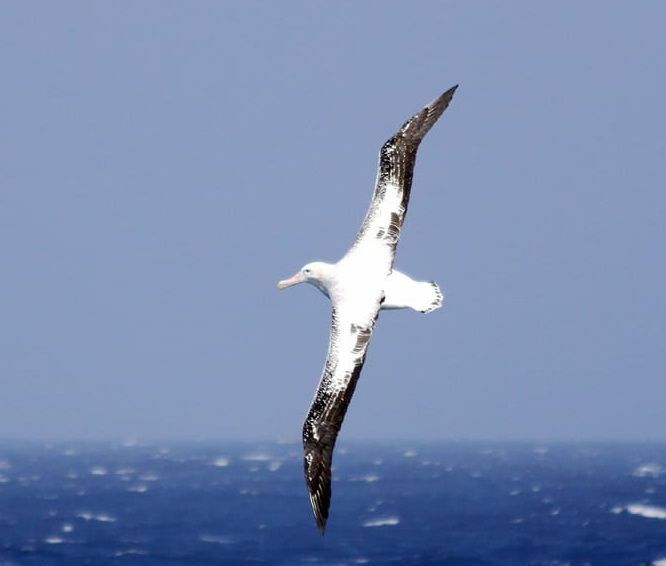 No surprise then that my favourite bird is the beautiful Wandering Albatross! Which I hope to model in foam one day. But I've never built any planes in balsa since I was a kid making chuck planes. Ouch! I've just noticed how expensive Topmodel's motors seem to be!!!!! I'll probably fall back to Hobbyking then. Well anyway, I'm not into competitions or anything, as long as a glider gets up there I'm happy. All the Topmodel CZ designs fly extremely well and there is absolutely no problem with the carbon rod leading edge. My Prelude and Marabu have the carbon rod leading edge and both fly beautifully. If you want a D-Box built up wing look at their Elite. 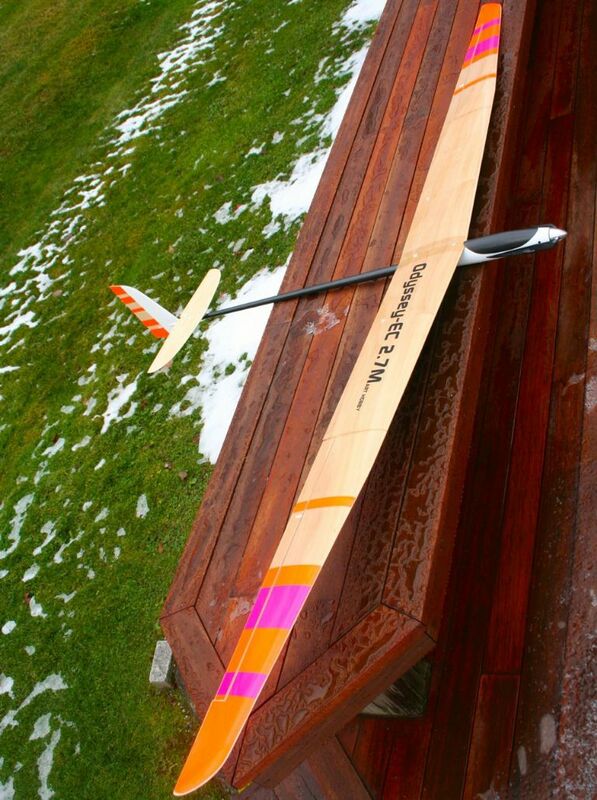 You can't go far wrong with a Topmodel CZ glider. Thanx for that info, I like the look of both of those, and love the transparent coloured covering, but I already have two 2.5m gliders, although I modified my Volantex ASW28 to 3.1mtrs, just for the hell of it. But I'm encouraged by what you've said, so I'll be choosing between either the Albatross the Element or the Fascination. As an alternative, why not take a look at mine. Thanx, but I'm not into scale at the moment, and I'm in Exeter, so a 600 mile round trip would be out too. I'm looking to by myself a pressie soon and it's going to be a nice big glider, preferably 3M or more. But although I like the idea of lightness, I'm puzzled by the designs on Topmodel. And others of different sizes. They rely on just the ribs to shape the L/E, so leaving the covering to sink n a bit between each one. Yes I've seen videos of the models flying and that's ok, but there's nothing for comparison. Also, obviously a potential lack of robustness is something to be considered. So, does anyone have experience with these models or similar wing designs? I just spent nearly 40 mins filling in the document, copying and pasting from the BMFA assist doc, and correcting everything I paste because the formating does NOT carry over to the Gov doc. And the page got closed down!!!!!!!!!!!!!!!!!!!! I know it's partly due to this laptop which I'm not used to using, but . . . . So now, I'm going to copy and paste everything into Libre Office, edit and then store it all as plain text files. THEN, I'll go back to the Govt page and try to fill it in! Again!!!!!!!!!!!!!!!!!!!!!!!!!!!!!!!!!!!!!!!!!!!!!!!!!!!!!!!!!!!!!!!!!!!!!!!!!!! My Linux Ubuntu PC fails to read the Govt document properly so I cannot fill in the boxes!!! Anyone have any ideas? I've tried alternative document viewers with the same result. Adobe isn't compatible with Linux machines, apparently. Yes, I'm even considering buying a cheap laptop just to get a Windows machine!! Thread: Summer is here! !....Who's been flying?? But now I've turned 65 I've flown twice since the 15th of Aug. Once at the 1066 Model Flying Club near Hastings, and once at my regular spot, Little Haldon nr Exeter. And if it gets that blimmin hot again next year, I shan't be going outside then either! Us vampires have to stop indoors see. Thread: Caveat on the Equilibrium Mini V2 charger! I bought one as I wanted to fly during the bank holiday weekend after my Imax B6 went dead the other day when left to charge a TX Nimh pack. I checked it after 2 hours and the screen was dead. And it never worked again. So, as I wanted to fly, I had to nip to my nearest model shop and grab what I could find. That was the Equilibrium Mini V2. The first pack I charged with it stopped at approx 60% full initially. So having checked tha lipo with my checker, I put it back on charge again and it pretended nothing had happened and charged it to 98%. But the next pack ot itself OVAECHARGED to 4.28v per cell !!!!!!!!!!!!!! And it was only then that I found that the Mini V2 has NO DISCHARGE OR STORAGE FUNCTION !!!! In spite of the fact that it mentions discharging more than once in the manual. So since that moment I have had to slavishly watch it, rather than allowing it to get anywhere near 99% and am currently ( ) flying with 95% capacity packs. I always have my charger operating right at hand and never it leave charging any longer than it takes to make a cuppa. Hopefully my new Accucell 6 will arrive tomorrow or the next day. Accomanied by great sighs of relief all round as I'm champing at the bit wanting to storage my batteries! I hate leaving them with part charge! All sorted and returned to the owner! And the reason I'm still calling the 1.5 new is that I haven't had a flight with it yet, a few "chucks"yes, but then it's on the ground a few seconds later. I've yet to meet other fliers when I've had it with me but haven't gone up to fly for nearly a year anyway. But it doesn't seem to want to fly, in my opinion, so hopefully I'll find someone, one of these days, who knows more about 2 channel gliders who might give me some pointers. The only thing I can think of right now is that maybe I could shorten the tail boom, but to me anyway, it looks ok.